Our blog for October, The Enchanted Forest, is written by Pauline Duncan at 4 Star Gold Northlands Bed and Breakfast in Pitlochry, Perthshire. 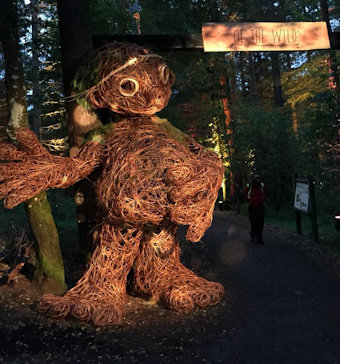 Have you visited the magical Enchanted Forest, Pitlochry yet? For the past 13 years, when the air becomes crisp and fresh and the nights close in, one of the most delightful places to visit in Scotland is the Enchanted Forest centred around tranquil Loch Dunmore in Faskally Wood, Pitlochry. 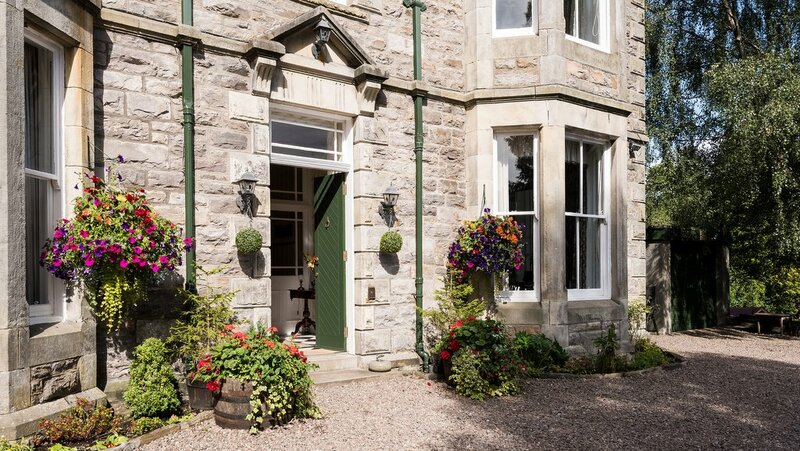 Stay at one of Scotland's Best B&Bs in the area and admire the palette of gleaming colours which complement the natural beauty of Highland Perthshire by day. Explore the towns of Pitlochry with its famous Festival Theatre and Fish Ladder, or Aberfeldy with the Birks Walk immortalised by Rabbie Burns in his poem The Birks O'Aberfeldy. Then, by night, prepare to be captivated by Scotland's traditional Son et Lumiere show. 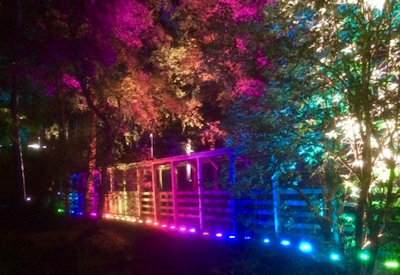 Current winner of UK's Best Cultural Event, the Scottish Outdoor Leisure Award for Best Outdoor Festival, as well as Scotland's Best Large Event, the Enchanted Forest adopts a different theme each year - the 2018 theme is 'Of the Wild - Nature by Night'. Previous motifs have included Oir an Uisage (2017) with its entrancing water displays, Shimmer (2016) and its dazzling animations, and Flux (2015) which incorporated mesmerising acrobatics. 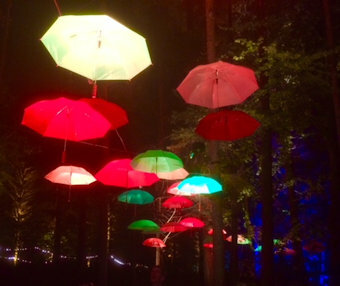 This year, by using the natural environment as a backdrop, as well as the combination of spectacular visuals, up-to-date technologies and amazing music scores, the Enchanted Forest showcases the astounding hidden world of nature at night. The Enchanted Forest was established in 2002 as another step in the innovation and creativity which has characterised the wood's history. Set up by James McDougall of The Forestry Commission, the now annual event was a response to TreeFest Scotland and aimed to encourage people to visit the countryside and forests by showcasing them in unusual and unique ways. In 2010 the Forestry Commission handed the running of the event to the local community and, in 2013, the Enchanted Forest Community Trust was established. It consists of a group of dedicated locals who, with the support of many businesses in the area, have run this annual autumnal event since. Each year the Enchanted Forest Community Trust chooses a trio of charities to benefit from the event - this year the chosen charities are Outdoor Access Trust for Scotland, The Birks Cinema Trust and Blairgowrie Riding for the Disabled. They also fund a variety of local groups and organisations in the area, ensuring that the show is not only entertaining for visitors, but widely beneficial for the local Perthshire communities. An astounding event which brings vibrancy, enjoyment and a touch of magic, the Enchanted Forest is an event not to be missed. The 2018 show 'Of the Wild - Nature by Night' runs from 4th October - 4th November, with tickets on sale now!